Owning a good pair of shoes is always important, especially in winter, when a single slip can cause harm. "During spring, summer and autumn around 7 - 8 people are daily admitted due to injuries, while in winter the number can reach to 22" Orthopedic Traumatology doctor, Mihail Birman declared. The most risks views elders who have trouble moving. A good pair of shoes can be of much help for them. "Injuries can be avoided, if the wear skid resistant shoes" Mihail Birman explained. Shoes with soft soles or high heels cannot grip slippery roads well, therefore doctors urge to avoid them during cold season. "40% of cases during winter could have been avoided if only people wore fitting shoes. Made out of natural components. The fur has to be 50 - 60% natural, though it would of course be perfect if it was 100% natural. The sole must be skid resistant, so that people don't fall down and the shoes must cover the ankles" doctor Ludmila Murzac said. "Those are Italian shoes of good quality, proven by time. The sole is think and you never slip on ice, plus they are very comfortable." "The prices are good here, if you can bargain, you can even get a discount." Shops in the Capital sell winter shoes for around 2 500 lei, while on markets the prices vary between 500 and 900 lei. 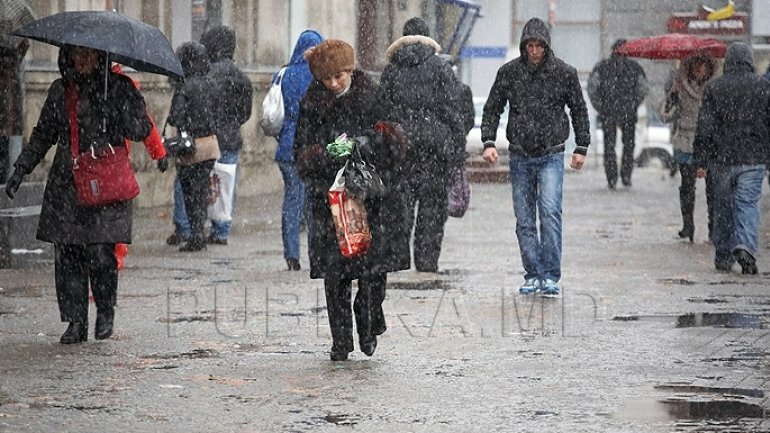 How well would Chisinau fare if it were to snow?